The 2017 PS4NPLWA season kicks off for the Jacks on Sunday, when they take on newly-promoted Joondalup United in the ‘Joondalup Derby’ at Percy Doyle Reserve (7.00pm). It was a fantastic second half of the season for the Jacks in 2016, as they went through undefeated in the league, but missed out in the Top Four Finals. They were knocked out of the Night Series early, but assistant coach David Tough said it’s a new look squad this season but they are gelling well, and are looking forward to repeating last season’s feats. “I wouldn’t read too much into the Night Series matches, with the new format this season. With the late decision on the NPL expansion it left the majority of the teams three or four weeks behind where they would like to be when the first game came around,” he said. 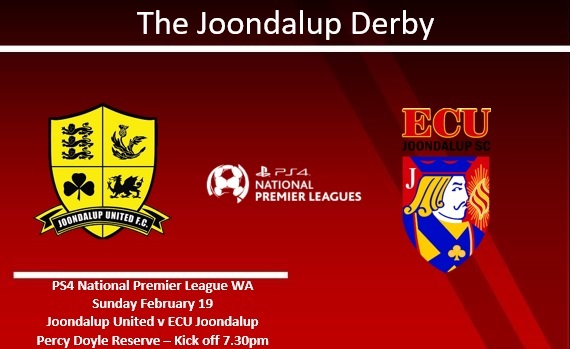 Tough knows Sunday’s game will be a battle, with United looking to start their first NPL game with a win, but they head into the game full of confidence after a good pre-season. “It’s a big game as it’s our first of the new season, so we’re focused and prepared for this game, as we would be if we were playing any of the NPL sides,” he explained. “I’ve personally coached a large number of their squad over the years, and they are good players who have a winning mentality and are going to be really up for this game. Not only because it’s their NPL debut, but a large number of their squad, have played at some level at ECU. Joondalup United keeper James Bosdet said it’s a game the whole club is looking forward too ever since the fixtures were released. “We were hoping for a big game for our first match in the NPL and I don’t think it could get any bigger than this,” he said.